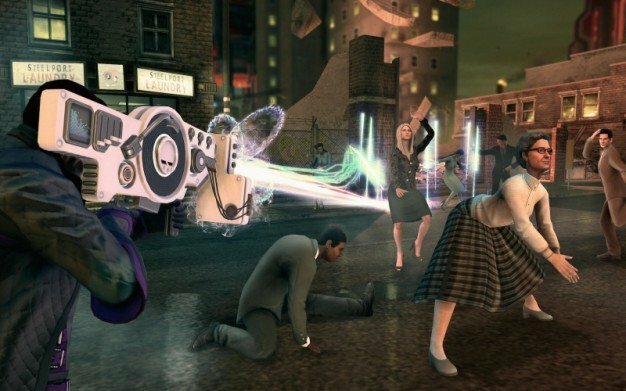 Saints Row IV gets music themed DLC pack for the amazing dubstep gun! Deep Silver and Volition were proud to announce today that their game, Saints Row IV, now has a music themed DLC pack for the beloved dubstep gun, for the low price of $3 (it feels so good to not have to write Microsoft Points anymore). You get four different styles for your hard-earned cash: Classical for all of the refined gamers out there, Death Metal to really make your enemies’ ears bleed, Polka for some sick beats, and Swing for an infectious groove that will make you want to cut a rug with your closest dance partner. Saints Row IV and its killer music DLC is available now for the PS3, 360, and PC. A trailer featuring a delicious booty and Sven Hoek nostalgia can be seen below.